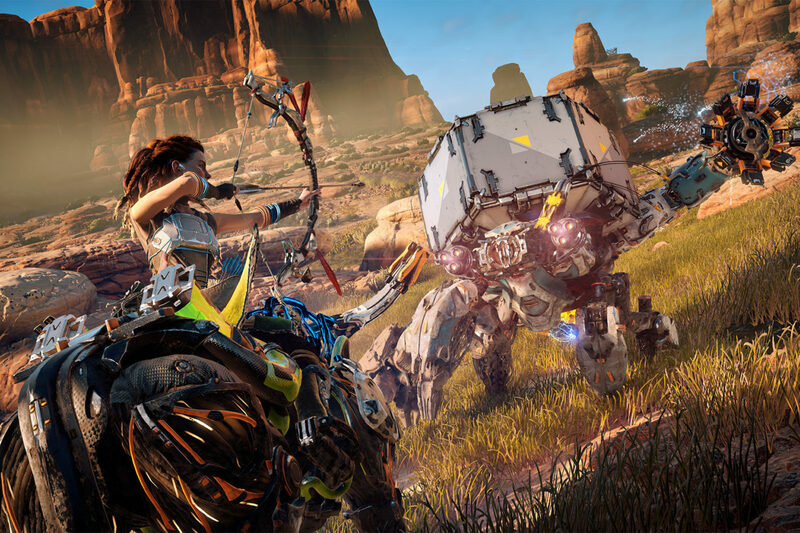 Guerrilla Games has released Horizon Zero Dawn patch 1.30, which adds the highly anticipated New Game + and Ultra Hard mode alongside various fixes. New game+ added for players who want to play through the game with their existing gear. Ultra Hard mode is added for the players that are up for another challenge! Added two new trophies to the game: One for completing New game+ and one for completing New game+ in ultra-hard mode. Added support for all EU and US text Languages on EU and US games. Fixed an issue for some players in “The Looming Shadow” where two guards would disappear after Blameless Marad speaks to them. Fixed an issue for certain players with the Lodge Ropecaster where the ropecaster’s anchors that are automatically shot in the ground would not stick to the terrain while shooting from a crouched position. Fixed an issue for some players where bandit camps would incorrectly display as ‘Undiscovered’ within the world map if the player had cleared all bandit camps. Fixed an issue with “Cauldron Zeta” where for some players the quest log would disappear after completing the quest. Fixed an issue that some players encountered with the animations of Aloy. When the player would perform a melee attack and use the Focus almost simultaneously, it would cause Aloy’s upper body to twist unnatural for a moment. Fixed an issue with the humanoid scream and attack indicators. Fixed an issue in “Deep Secrets of the Earth” where for some players the data points in Sobeck’s office were not obtainable if the player wanted to pick them after the explosion caused by Helis, as they had disappeared. Fixed an issue with the Tearblaster statistics being incorrectly displayed in the weapon wheel. Fixed an issue in “Field of the Fallen” where for some players Erend would not appear and thus blocked progression of this quest. Fixed an issue in “The City of the Sun” where some players might teleport through the protester scene, blocking progression as Erend would not open the door to Olin’s apartment. Horizon Zero Dawn is available now for PlayStation 4. The game’s first expansion, The Frozen Wilds, will be released later this year.